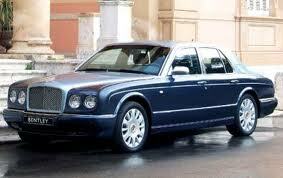 As I was driving down Interstate 10 earlier this week, I had the pleasure of driving by a vintage Bentley. (A rarity in San Antonio, TX). For those of you that know me, I LOVE cars. Cars, just like fashion, are an expression of who we are. I was transcended to a vintage dreamland at first glance of this Bentley. Awe, pure expression of elegance, luxury, sophisication and timelessness. Then, I found myself daydreaming about vintage bottles of wine (probably because I’m currently reading the Billionaire’s Vinegar). In my daydream, it’s me in this car driving to a wine tasting, in which my palate will get to indulge in history with a 1787 bottle of Lafite. (Which, by the way, was sold at Christie’s Auction House in London in 1985 to the Forbes collection. It is currenty the most expensive bottle in the world, auctioned at $160,000. Ok, ok. Then, I snapped out of it. It’s easy for me to romanticize. So then I thought I would transcend my daydream to current day. 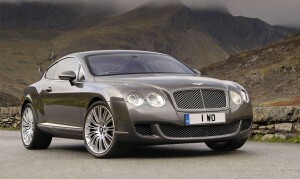 I would drive the current day Bentley Continental GT – beautiful, isn’t it? And, I would taste a Chateau d’Yquem. 2001 that is. Each bottle costs just under $500.00. If any girl can dream big – it’s me! In either daydream, I picture myself draped in the timeless design of Coco Chanel – an awesome tweed dress. Plus, I’m in love with the color yellow right now. Thank you for taking a stroll in dreamville with me on this lovely afternoon. Now, back to reality. And, I’m grateful that my reality is full of grandeur in it’s own subtle ways. Cheers! Previous Previous post: Attention Foodies and Oenophiles: Restaurant Week Starts in 5 Days! Next Next post: Forgive Me, Bacchus, For I Have Vinously Sinned!